Do you love the ocean and water in general and do want to experience something like never before? Well, The PADI Open Water Diver course is recognized world wide! 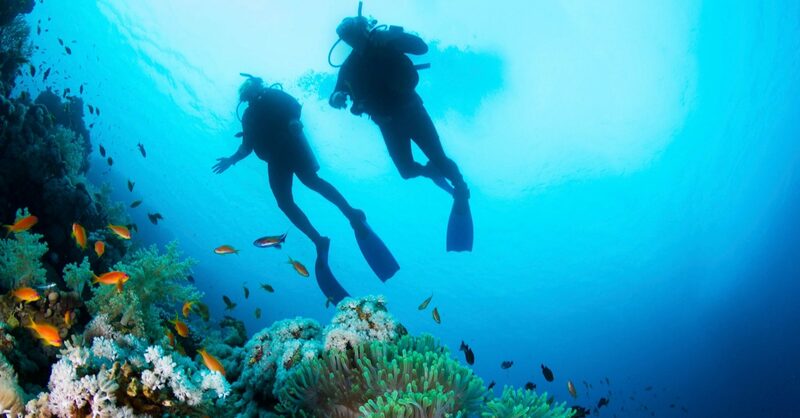 Learn the basics of scuba diving and make new friends while doing it. Your adventure awaits, once you’re certified you are certified for life (you may need to refresh if you don’t dive very often) even more reason to keep diving! We can offer you a variety of class structures that best fit your needs. Our normal monthly class which is week nights and our most popular and private lessons. We can also build a weekends only class if someone is not available for week nights (min 4 students required to run class). We structure our courses around the PADI eLearning which allows you to complete your classroom sessions online and at your own pace, on your own schedule and then we meet for an extended orientation session, pool work and ocean dives. If you want or need to do your dives on vacation, please see our Open Water Referral. All classes require a non-refundable $100.00 deposit to hold your space in class. If you need to move class dates, we will gladly transfer you to another scheduled class as long as we receive a request to transfer within 7 days of your regularly scheduled class. There is a $25.00 class change fee! All scuba gear for the pool and ocean dives (wetsuit, hooded vest, gloves, tank, regulator w/computer, weight integrated BCD, and weights), except personal gear*. Lodging, airfills and food for open water dives. Student discounts are available for gear purchases. Inquire at the shop when you sign up for your class. Includes: eLearning and pool session with regularly scheduled class, then you complete your open water dives on that special tropical dive vacation. Please enquire at the shop for private referral classes if you can’t make the regularly scheduled class! Call (503) 653-3114 or come into Ocean Paradise Dive and Travel to sign up for a class. Attend our extended orientation session, pool sessions and open water sessions. Go enjoy your new adventures. If you cannot make any of the regularly scheduled classes, we can still get you certified. Contact us at (503) 653-3114 for more information! CLICK THE BANNER TO SIGN UP FOR eLEARNING NOW!